Blue Poppy Publishing – book publisher in North Devon – We publish superior quality books by local authors and offer advice and services for self-publishing writers. Important message about local bookshops and libraries. Our physical books can be ordered in all good bookshops in the UK and you pay the same price wherever you buy. We make more money if you buy online from us, but we won’t grow as a publisher if bookshops have never heard of us. Every order through a shop is another step on the road to taking over Random House! For a list of bookshops in North Devon click here. We are happy to see our books borrowed at local libraries. Please don’t feel that you are being mean by borrowing our books for free. There are several reasons why we love people to borrow our books from local libraries and school libraries. It is a way for new readers to discover our authors. If people regularly borrow books then the library will often buy more copies to meet demand. Our writers join up to the PLR scheme, which pays a royalty to writers based on the number of times their books are borrowed. Please support your local library. Libraries Unlimited who run Devon libraries have all our titles. If you live outside Devon and want to borrow any of our books, do ask them to buy in stock. The worst they can do is say no. 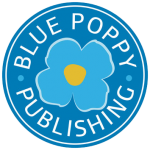 Blue Poppy Publishing is a new and very small publisher based in North Devon with, currently, four authors, and at least that many being developed for future publications. Most of those authors are from the local area, although the books have a broad appeal. The imprint was set up in 2016 to publish the “Wise Oak” series of Books by Oliver J. Tooley. Then it seemed natural to offer the opportunity to other authors to get their books published under the Blue Poppy imprint in order to benefit from mutual experience and promotional efforts. As a result, in 2017 three new authors joined up. Presently there are at least another four authors interested in publishing their books through the imprint, at various stages of development. Blue Poppy Publishing is not a traditional publisher with a big budget. We can’t pay authors an advance. We can’t even pay for the production costs of your book. However, nor is it a vanity publisher. We won’t put our logo on a badly written book by someone who just wants to see their work in print. 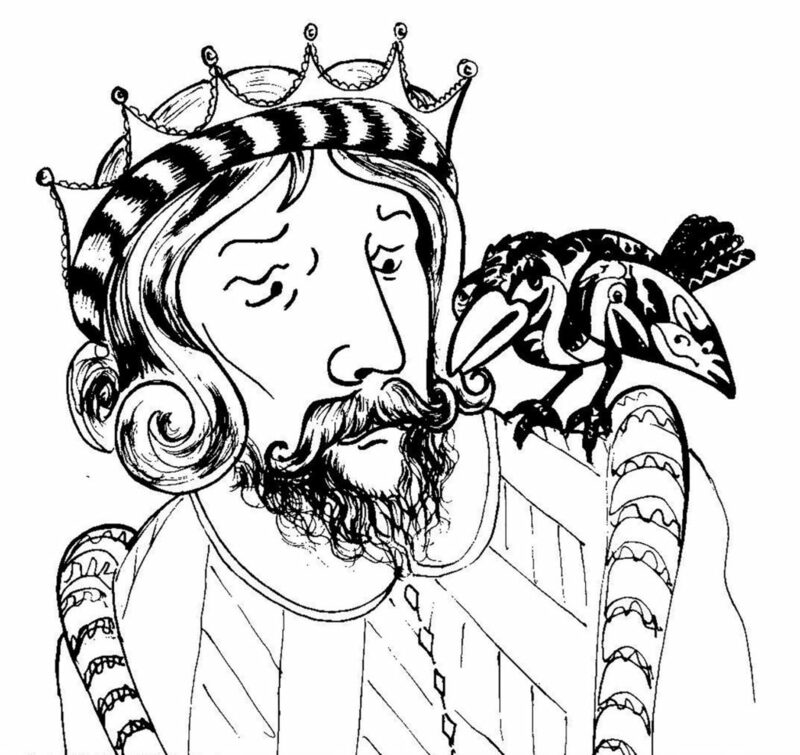 Blue Poppy is a Self Publishing Collective. What that means is that we will help a self publishing author with a number of vital aspects of bringing their book to market, but the author still has control and (although you may not like this bit) still pays for all the production costs. We are willing to take on the job of preparing personal biographies for private use, e.g. if someone wants only a few copies of their memoir for family members to read, we can prepare the file for printing, and we can arrange to have small numbers printed without the book being in the public domain. This is a private service and not part of the Blue Poppy publishing range. KY Eden moved to New Zealand in 2018. The first two books in her series “The Redcroft Journals” are out in paperback although we don’t currently hold stock. Sheila Golding is a mother and grandmother who lives in Ilfracombe and writes poetry and stories including “Teeny Tiny Witch” her book for younger readers which is stunningly illustrated by Colin Rowe of Corvus Design. Janet Few has a considerable back catalogue of non-fiction already to her credit. She is a professional historian and genealogist and gives talks on the subject. Her first novel, “Barefoot on the Cobbles” comes out in November 2018 and is set mainly in Clovelly and North Devon. The imprint began with “Children of the Wise Oak” a fantasy set in the real events of Iron Age Europe with the sequel “Women of the Wise Oak” now published as well. Oliver also writes as Olli Tooley for younger readers. “For Cats’ Eyes Only” is now out. It follows the adventures of Special Agent Felix Whiter, of Animal Intelligence Services, and features terrible puns, fart jokes, action and silliness. Let’s be clear, Blue Poppy is not a big publishing house with money to spend on developing potential new authors. It is just one person; Olli Tooley. BUT; the process of publishing Children of the Wise Oak has taught many valuable lessons already. If you are a North Devon based author who wants to self publish but would prefer to do it under an umbrella of an existing imprint; if you are willing to finance your own printing or to crowdfund it, as I did with CotWO, then Blue Poppy may be able to help. Organising an editor, cover design, formatting (ugh formatting!) printing, distribution, ISBN, e-books, Amazon listings, publicity, and all sorts of other little things, can take a lot of time and energy that could be spent writing the next book. I can give advice and help avoid wasted time, as well as actually doing some of the jobs outright. At all times it will be your book, your copyright, your project. Any genuine costs will be openly discussed but, having done this as an author, I am painfully aware of the need to generate sales profits to pay for stuff, so I won’t be looking for profits off your hard work up front. If the book sells well, everyone does well. We are presently experimenting with an in house crowdfunding platform to see if we can use that to raise the production costs of new books without incurring third party fees. Blue Poppy is not interested in publishing anything overtly “adult” e.g. erotica or horror. Nor really anything that is specifically “romance”. What would be most welcome is fantasy, historical fiction, sci-fi, adventure, mystery, YA, and other stuff with a broad age range appeal. Non-fiction will also be considered.